The Central Asian region has always been of pivotal importance for both the USSR and its successor – the Russian Federation. But it seems that the sky is the limit in this matter since the latest developments in the region have increased the importance of the Central Asia for Russia tenfold. The task of ensuring security in this area has become one of the main goals of Russia and its CSTO (Collective Security Treaty Organization) partner states. Special attention in this respect should be paid to the situation on the Tajik-Afghan border, which remains the sole barrier that defends the CSTO countries from Middle Eastern terrorists. This question has been thoroughly discussed at the recent session of the CSTO Collective Security Council that was held in Moscow last December. After the meeting, a senior Russian diplomat, Alexander Sternik, announced that should it be necessary, Russian military forces will work hand-in-hand with their Tajik partners to protect the national border of Tajikistan. He also stated that Russian military base № 201 located in the territory of Tajikistan is going to enhance its military capabilities. Another high-level meeting was held last January in Yerevan between the CSTO Secretary General Nikolay Bordyuzha and the President of Armenia, Serzh Sargsyan. After the meeting it was stated that the ongoing fight against international terrorism will remain a top priority for the CSTO. Given the strategic importance of the Tajik-Afghan border it will be no coincidence that military exercises will be carried out in Tajikistan. 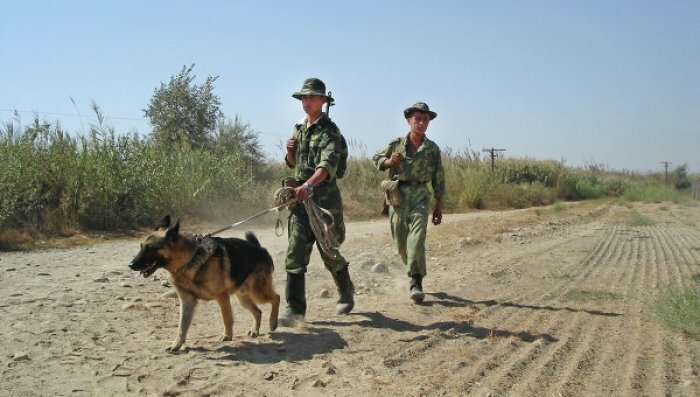 Back in 2005, Tajikistan decided that it would be guarding its borders itself, so there are no Russian military personnel stationed in Tajikistan aside from those troops that serve at military base № 201. However, against the background of the very real terrorist threat that looms on the Afghan border, Tajik forces must be prepared at all times to engage in joint military operations. It seems that Tajik officials understand that perfectly clear, since Tajikistan hosted large-scale military exercises less than a month ago. Those exercises were aimed at improving cooperation between Russian and Tajik forces in all sorts of combat scenarios. These maneuvers have ensured that Russian and Tajik forces can act as a single unit under dire circumstances. However, officials of both states have underlined the fact that those exercises are purely defensive in nature, so they should not be regarded as a warning sign by any particular Central Asian state. Yet another military exercise that has recently been carried out in Tajikistan was code-named “Search-2016.″ Military forces of every CSTO member state took part in those, which includes Armenian, Belarusian, Kazakh, Kyrgyz, Russian and Tajik forces. Intelligence units of the above listed countries also gathered to hone their skills. The reason for such special attention being paid within the CSTO to Tajikistan comes from the fact that the situation on its southern borders remains truly alarming. Now, when the snow melts and mountain routes become passable again, Tajik border guards are prepared to repel any possible attack. Both the Taliban and ISIS have been strengthening their positions in Afghanistan over the recent year. The Afghan government is unable to restore order in the country, since it has barely enough troops and resources to survive. Following the withdrawal of US troops, radical fighters have started entrenching themselves in Afghanistan once again. The forces of the Taliban have already reached 50,000. In the summer of 2015, the Taliban claimed the Kunduz governorate of Afghanistan as their own, and this area shares a common border with Tajikistan. Alarmed residents that are living in close proximity to the Afghan border are complaining of hearing gunfire. Experts believe that after scoring a number of impressive victories in Kunduz, the Taliban would seek to expand its influence further. However, there’s other opinions – that Tajikistan would hardly ever be threatened by the Taliban as this movement has little to no interest outside of Afghanistan. However, one must not forget that there is an ISIS threat rising in Afghanistan as well and those terrorists have already claimed that they want all the territories they can move into. For instance, on April 1, the Tajik Interior Ministry announced that it arrested two Tajik citizens who fought in Syria on the side of ISIS and returned home to commit terrorist attacks. This is yet another major problem of the countries of Central Asia – underground terrorist networks that prepare violent attacks and spread terrorist propaganda. This demands even more commitment from all of the CSTO member states.